Are you in need of a good deal on an auto part in Indianapolis? Continue reading to learn what you need to know about shopping around for and choosing new or used automotive parts, including aftermarket parts, refurbished parts, remanufactured parts, OEM parts, and more. ⛮ What are Some Tips For Buying Used Auto Parts? It is in the buyer’s best interest to inquire about a used auto part’s warranty, price, and return policy. Being informed of these three categories can help you make an educated purchasing decision. So long as you buy from a reputable retailer, you should be in good hands. ⛮ What is a Refurbished Auto Part? A refurbished auto part is a used auto part (anchor to used auto parts page) that has been professionally re-manufactured back to new working condition according to industry standards. Re-manufactured auto-parts generally come with warranties. ⛮ What’s the Difference Among Re-manufactured, Refurbished, and Rebuilt? “Re-manufactured” and “refurbished” are terms used interchangeably with one another in the automotive industry, so they mean the same thing. Rebuilt parts, on the other hand, are non-vital parts or components taken from other vehicles for the purposes of rebuilding and repairing a defective part in your vehicle. Examples include nuts, bolts, bearings, piston rings, and rods. ⛮ What is an OEM Auto Part? The acronym “OEM” stands for “Original Equipment Manufacturer”, which means that the auto part is manufactured by the automaker of your vehicle. In contrast to aftermarket parts, OEM auto parts are made specifically for your make and model vehicle. ⛮ Is it Acceptable to Use Aftermarket Auto Parts? Aftermarket auto parts are not only equally-effective, they are cost-effective as well. When refurbished properly, they work just as well but cost less than brand new parts. So as long as you purchase your aftermarket auto parts from a reliable vendor, they should be a sufficient and affordable alternative to OEM auto parts. ⛮ How Do I Choose Between OEM Auto Parts and Aftermarket Parts? For those with brand-new vehicles, or for vehicles that require a critical part replacement, it is recommended to buy new auto parts to ensure long life and dependable performance. However, if you require a simple part that has a short shelf life, aftermarket parts are a suitable alternative regardless of your vehicles age. Talk to your trusted car mechanic for advice on choosing between OEM parts and aftermarket parts for your vehicle. ⛮ Is Buying Used Auto Parts a Good Way to Save Money? Absolutely! Especially if you require a very expensive auto part, such as an engine or catalytic converter, choosing to purchase used parts is a wise choice that can save you hundreds, or even thousands, of dollars. Even if you need small or simple parts, like taillights and tires, buying used parts can be a suitable and cost effective alternative to new parts. Just be sure to choose a reliable auto parts store that has been in business for several years. ⛮ Where Can I Find New and Used Auto Parts? You can visit any commercial auto part store and purchase virtually any NEW part you need, however, be prepared to pay maximum price. If you wish to find reasonably-priced new auto parts, look for an independently-owned auto parts store for a better deal. You can purchased USED auto parts from several public and private vendors, but the most reliable and budge- friendly place to purchase used auto parts at is an independently owned Indianapolis auto parts provider. Not only will they have reasonable prices, a good, long-standing company may also offer warranties with their used auto parts. ⛮ What Can I Do With Old or Broken Parts I Don’t Want? 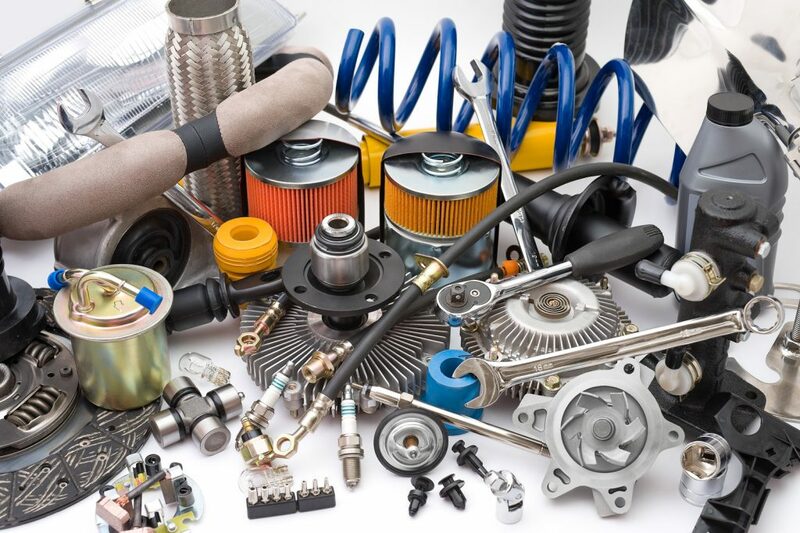 If you have auto parts that are defective, old, or superfluous, you can choose to either donate, recycle, or sell them to a used auto part store or metal recycling center (anchor to metal recycling page). Some vendors are likely to pay cash on the spot for use auto parts or scrap metal. ✨ Where Can I Buy Top-Quality, Affordable Auto Parts in Indianapolis? Call Zore’s Inc. at 317-247-8484 to buy new and used auto parts in Indianapolis, Indiana. We have been a family owned and operated business for over 75 years, so you know you can trust us for the fairest prices and products in town! We sell used auto parts, OEM auto parts, refurbished auto parts, and new auto parts. Request an estimate for any auto part, today. This entry was posted in Auto Parts and tagged auto parts faqs, auto parts store Indianapolis, new and used auto parts Indianapolis, refurbished auto parts Indiana, sell junk auto parts Indianapolis, used auto parts tips. Bookmark the permalink.